matija wrote: Another thing is, how to interpret those readings. Does 35Ah versus 48Ah actually mean 27% SOH loss in my case ? Could be subjective, but I do not see 27% less daily range on this car I've actually read somewhere, that with degradation, Mitsu's BMS allows different/lower voltages of cells to be utilized, hence mitigating that SOH loss in real-world. Another thing is that turtle range becomes smaller. I do know that the car does this from all I have read and experienced. The idea, I'm certain was to instill confidence in owners. Look what happened when leaf owners saw range decreasing on relatively new cars. Tesla does this too, hides some unused capacity in the battery range calculations for down the road. So that the owners have a more congruent experience as their batteries age and rack up miles. Actually, any ICE will get a decrease in efficiency as they wear. It's just almost impossible to notice, since the energy onboard is so plentiful. A 10 gallon gas tank would be roughly equal to ~20 iMiev batteries worth of energy. If our batteries were 20 times the energy we currently rely on, would this topic even exist? usable battery capacity is dependent on temperature. However that shouldn't be indicative of nominal battery capacity. Most of the battery capacity measuring I'm familiar with, is temperature adjusted. Whether the Mitsu system compensates for temperature in it's measurements is an unknown. Both of our cars are showing right around 43ah on Canion. Both are 2014's built a month apart. One has twice the miles on it as the other one, for whatever that is worth? One outlier reading of 41ah among seven total. So it's not a definitive measurement IMO. Except perhaps as an average of several readings? It looks like my car makes corrections to the Ah value twice a year. As I previously said, the Ah counter decreases my 0.1Ah every 20-something days. 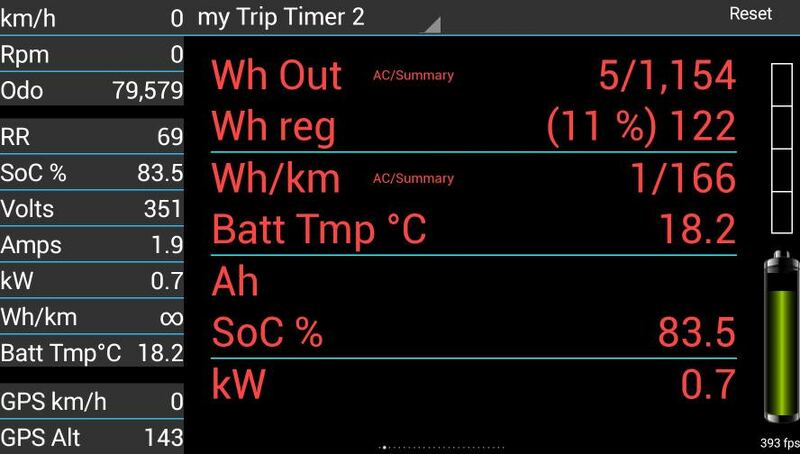 My car was at 39.9Ah this April, but in May it corrected to 40.8Ah. In October I was back to 40.3Ah but in November I noticed another recalculation to 41.1 Ah, which is where I'm at now. So it looks like I could count an adjustment every 6 months. The first time I had an Ah reading was in April 2016, and it was 41.3Ah. I didn't notice any big changes in the recalculations that year, unlike this one. Does anyone know why I do not have any reading in the Ah field? CanION is updated, the car is a clone (Peugeot) and the OBD-II is an STN1170. Everything measures perfectly, just does not give me any value for "Ah"
What is the firmware level? I know previous firmware could not allow to access this info. Maybe you can try to update the firmware . Bonsoir, Xavier, merci de votre attention! Well, now I know what the problem was, maybe it's time to buy a new interface. Barbagris, my fairly old STN1170 from AH Design works just fine using CaniOn v141 and gives me Ah reading. Barbagris wrote: Bonsoir, Xavier, merci de votre attention! Perhaps just give it some time. I know that when I plugged my wife's "i" into the canion app it did not register AH for hours if not a day or more. If memory serves canion was monitoring a charge cycle when it popped up. Looks to me like it's canion that stores the history etc. So from what I saw the first reading took a while to show up. It should be possible to update the stn1170 from Andy. It is necessary to use a laptop (with BT!!) 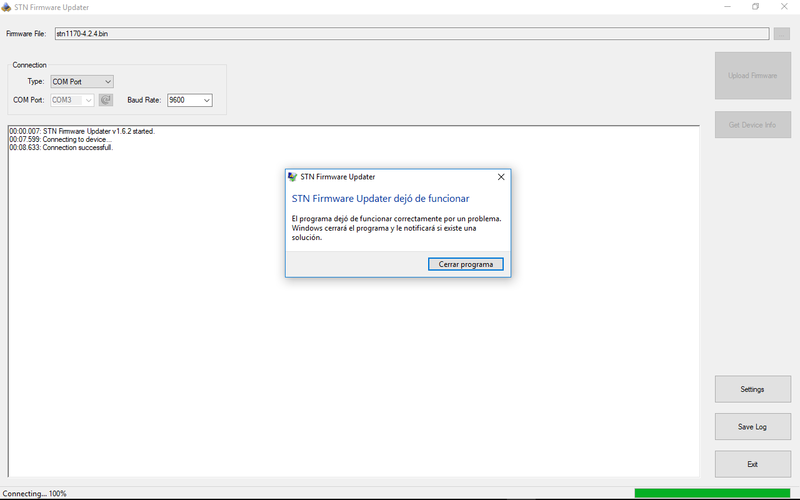 and use the StnFirmwareUpdater.exe included in the download. Maybe it has not been a good idea. Software downloaded, laptop (Windows 10) connected by Bluetooth (COM3), launched the program. Try several times, reseting the laptop, try compatibility Windows 8, 7, XP. Always start, and crash. And the BT interface seems to have been damaged; canion says "connected", send some few commands, and, again says "connected", in a eternal loop. At eBay I see several "OBDLINK LX", half the price... but from China. Last edited by Barbagris on Tue Jan 30, 2018 9:02 am, edited 1 time in total.